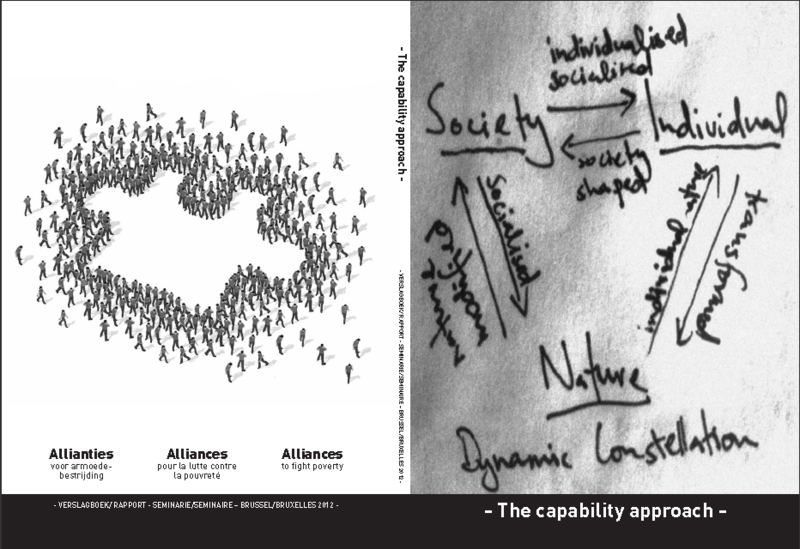 The Capability Approach is an innovative and practical theory that enables people and society. It forms also a bridge between different political ideologies: a bridge between social christian, socialist and social liberal ideas. To explore the CA we organised a seminar about the potentialities of the CA for a fight against poverty and social inequality. From this seminar you find here the reprt book.The theme of the book is “the capability approach and inequality”. This is a rather unique publication. Because the capability appraoch is not very much a hot issue in Belgium. Whith this publication we think we can proof that the CA can inspire us. You find in this book a lot of new thinking and reports of new research. After these two presentations the authors talked about their work and their new findings about the CA. We hope that this inspiring work can help you to build a better world.